A: I fell in love with the ocean when I lived in the suburbs of Minneapolis, MN as a child. I’d never even seen the coast, just lakes and streams, but I still had a deep connection to the marine environment. I moved to California with my family at age 10, and loved the marine science component to the school curriculum. I went to college at CSU Monterey Bay where there were lots of opportunities to get involved with marine-based research. 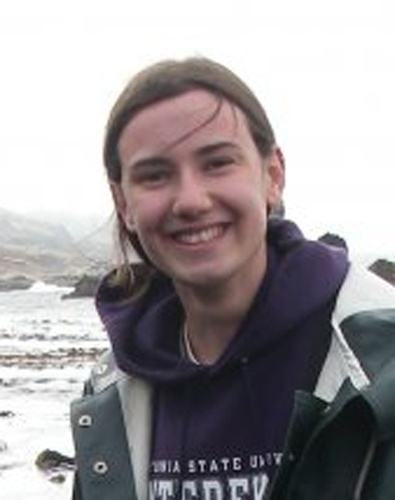 A: Before I was a grad student at MLML, I was an undergraduate intern here in the Phycology Lab through a program at CSUMB called the Undergraduate Research Opportunities Center. 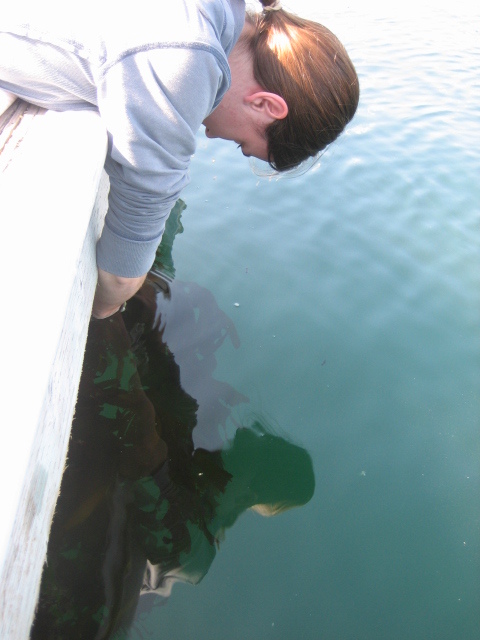 I spent a couple of years helping MLML students, including Brynn, Sara and Arley, with their thesis research, working on NSF/Seagrant research, and conducting my own senior thesis work on the reproductive physiology of the invasive kelp Undaria pinnatifida in Monterey Harbor. Sarah takes a look at Undaria pinnatifida in Monterey Harbor. Since I just started in Fall 2011 I haven’t decided yet, I’ll keep you updated on new developments. A: When I finish my masters’ degree, I would like to work for a government agency such as the Monterey Bay National Marine Sanctuary or NOAA Fisheries as a laboratory and/or field tech. A: I’m sure I’ll find out soon! A: I think what worked best for me to get to this point was to have a goal in mind (get a masters’ degree and career in marine science) and to let nothing sway me from that goal. My determination and commitment to this goal has led me to have many opportunities to participate in marine science that I never would have had without it.